Residents moving to Cabarrus County will discover a vibrant arts and culture scene that features multiple art galleries, street art festivals, the North Carolina Music Hall of Fame, free concerts and more. The community features the Cabarrus Arts Council, Cabarrus Art Guild, both located in downtown Concord, the Kaleidoscope Cultural Arts Festival series in Kannapolis, the HarrisburgARTwalk, and Concord includes several Friday art walk nights, including the annual Christmas tree lighting ceremony. One partnership Kannapolis Arts has leveraged for a class features Concord’s own Queens of D’Nile Studio, which is offering belly dancing classes each week at their Concord studio and have offered classes at the Kannapolis Train Station on behalf of Kannapolis Arts. The classes are just a growing part of the arts and culture scene in Kannapolis that is a part of the Cabarrus County arts community. A good place to learn about many of the arts and culture experiences here can be found by visiting the Cabarrus County Convention and Visitors Bureau, which was founded in 1989, and is located at 10099 Weddington Road, Concord. The organization drives visitation to Cabarrus County to help generate tax revenue with visitors shopping at local venues and staying in area hotels. The Cabarrus County Convention and Visitors Bureau mobile visitor center can often be found at many special events in our area, including the Haulers on Union Parade in May, when NASCAR haulers come through the community for the May races; the Jiggy with the Piggy Barbecue Competition and Festival in Kannapolis; plus events at Charlotte Motor Speedway, and its area tracks, which feature NASCAR, NHRA and dirt track races. The events help generate tourism dollars that offset the local tax base for residents. In 2015, tourism generated $411.58 million in spending, a $92.7 million payroll with 4,320 jobs and generated $30.73 million in state and local taxes. 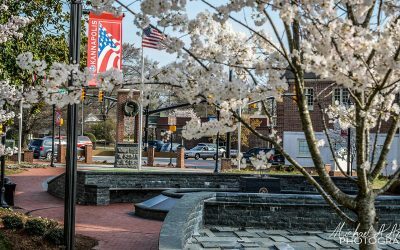 Concord – Located inside the breathtaking historic Cabarrus County Courthouse, vibrant exhibits at The Galleries paired with an impressive performance schedule at The Davis Theatre make Historic Downtown Concord a must-visit for arts and cultural experiences in Cabarrus County. While Downtown Concord is an epicenter for the arts, no art-focused visit to “Where Racing Lives” would be complete without spending time at the Sam Bass Arts Studios. As NASCAR’s first officially licensed artist, Sam Bass has filled the Gallery with one of a kind pieces that illustrate the history of stock car racing. Kannapolis – Now alongside the Curb Museum for Music and Motorsports, our state’s musical heritage culminates at The North Carolina Music Hall of Fame in Kannapolis. Constantly evolving exhibits and annual Induction Ceremonies each October allow us to continually share the story of the musically talented individuals across the state and this special venue in our community. Harrisburg – In addition to their annual 4th of July Parade, Harrisburg offers several ways for the community to connect. The arts come alive in these community events including the Rockin the Burg Concert Series which brings groups like the Charlotte Symphony Orchestra together with their Community Art Initiative where all are invited to find their inner artist. Mount Pleasant – As home to Whiskey Prison, Mt. Pleasant is a place where visitors can see the story of our area’s motorsports roots come full circle. Not only does Southern Grace Distilleries offer a hands-on “Distilling Experience” tour, they’ve partnered with The Bead Lady to turn spent mash from the whiskey making process into beads. Head Distiller Thomas Thacker has even hosted a Whiskey Painting class for the Cabarrus Arts Council. Midland – When it comes to a cultural experience, panning for gold and roaming the only underground mine in North Carolina open to the public at the site of America’s first documented discovery of gold has to top the list! Reed Gold Mine is a must-see in Midland. Those destinations are also joined by more “sip and paint” art classes, as well as events at Embassy Suites by Hilton Charlotte Concord Golf Resort & Spa at 5400 John Q. Hammons Dr NW, Concord which which have included TFCon — America’ largest fan-run Transformers convention — as well as the Charlotte Comicon. Hinson and others look to share those experiences, and Cabarrus County is only growing with its offerings. Not only does Embassy Suites provide unique pop culture conventions, but Concord has its own comic book shop. The shop is located at 10 St. Charles Ave NE, Concord, and Eury is a big supporter. He is an expert on the comic scene, working as a freelance writer and editor as well as being the editor-in-chief for the internationally distributed “Back Issue” magazine, which is a comic book history publication. He has also written books on comics and pop culture history, including the recently released “Hero-A-Go-Go: Campy Comic Books, Crimefighters, and Culture of the Swinging Sixties.” He has also worked as an editor and writer with DC Comics, Marvel Comics and Dark Horse Comics. But Eury is not just an expert on comic book and pop culture history. He is also a local historian who has learned much of Cabarrus County’s roots and significant citizens. He has wrote local history books from Arcadia Publishing, including “Legendary Locals of Cabarrus County” and “Images of America: Concord. His wife, Rose Rummel-Eury, operates the company Yesterday Forever, which helps people write their memoirs. As a local historian, Michael Eury also coordinates a Guided Historic Walking Tour of Downtown Concord on behalf of the Concord Downtown Development Corporation. The tours run the second Saturday of every month and can be booked through Concord Downtown Development Corporation. Concord alone has a growing art gallery scene with the Cabarrus Arts Council and the Cabarrus Art Guild located in downtown Concord within a block or two of each other. The Cabarrus Arts Council was founded in 1980 in response to the North Carolina Arts Council’s plan to establish a local arts council in every county. In 1982 the Cabarrus County Board of Commissioners selected the arts council to serve as its Designated County Partner, receiving and distributing Grassroots funding from the state and the state arts council. Today the arts council programs and operates the Davis Theatre and The Galleries, conducts one of North Carolina’s largest art-in-education programs for both the Cabarrus County and Kannapolis City school systems, supports arts organizations and artists through grants and workshops and serves as a catalyst and consultant for public and corporate art. The Cabarrus Arts Council is located in the picturesque 1876 courthouse in downtown Concord. The Davis Theatre occupies the former courtroom on the second floor. With 227 seats, the theatre provides an intimate environment that brings audience members close to the performers. The theatre is named for business and community leaders Roy and Sue Davis in tribute to their generous contribution to its renovation. The art galleries often feature local artists, and the Cabarrus Arts Council helps coordinate a regular art walk night throughout the year, which the Cabarrus Art Guild also participates in. The Cabarrus Art Guild is located in the lower portion of 11 Union St. S., suite LL-202, Concord and features more than 100 artist members. Vest said they also have wall space in their gallery dedicated to exhibits of high school students’ art from Cabarrus and neighboring counties. The guild also offers “Open Studio” sessions every Tuesday from 10 a.m. to 4:30 p.m, were members as well as non-members can bring the projects they are currently working on and share laughs, critiques (if wanted) and camaraderie. Vest said about 40 of the guild’s members currently have their art on display, and everything is handmade, with pieces ranging from framed artwork like photography, digital art, paper cutting and quilling, paintings on silk and on canvas. We have several display tables with pottery, baskets, stained glass and mosaics. Cabarrus County’s love of arts and culture is not just limited to the visual arts. There are several local venues that offer open mic nights, stand-up comedy and live music on a regular basis, including Lil’ Robert’s Place, Cabarrus Brewing Co. and Twenty-Six Acres Brewing. Cabarrus County is also home of the wildly popular The Avett Brothers, who were inducted into the North Carolina Music Hall of Fame, in Kannapolis in 2016. The museum is located at 600 Dale Earnhardt Boulevard, Kannapolis and features hundreds of pieces of music memorabilia from North Carolina talent, including Ben Folds, Charlie Daniels, Tori Amos, Warren Haynes and others. Each year, the hall of fame coordinates an induction ceremony bringing in some of the world’s greatest and most popular musical artists, creators and contributors, who were either born or lived a significant amount of time in North Carolina. The ceremony is usually held in October and is a highlight in the Cabarrus County community, bringing many people from outside the county to Kannapolis. The ceremony has often been held at the historic Gem Theatre, 111 West 1st Street, Kannapolis. The Gem Theatre originally opened on Dec. 31, 1936. A few years later, in 1942, The Gem Theatre was gutted by fire and the theatre was reduced to ashes. But the theatre was rebuilt in 1948 and featured a beautiful lobby and 916 seats, including the balcony section. The Gem has been open ever since and is one of the oldest single-screen movie theatre in continuous operation today. The Gem is also one of only a few movie theatres that offers balcony seating. The Gem Theatre screens new movies and is often used by local organizations for fundraisers and events, such as the North Carolina Music Hall of Fame induction ceremony. Eddie Ray, who heads up the North Carolina Music Hall of Fame, says they average about 1,000 visitors a month at the hall of fame. The hall of fame is just another draw to visitors and residents, according to Julie Hinson, with the Cabarrus County Convention and Visitors Bureau. “From seeing a show inside the Davis and Gem Theatres, to participating in interactive classes offered by small businesses, like jewelry making at The Bead Lady and terrarium or calligraphy workshops at Hive, there are so many special ways to connect with the community and tap into your creativity in Cabarrus County,” Hinson said. Twenty-Six Acres Brewing Co: www.26acres.com/ . Navigating the Offer Process in Today’s Market.